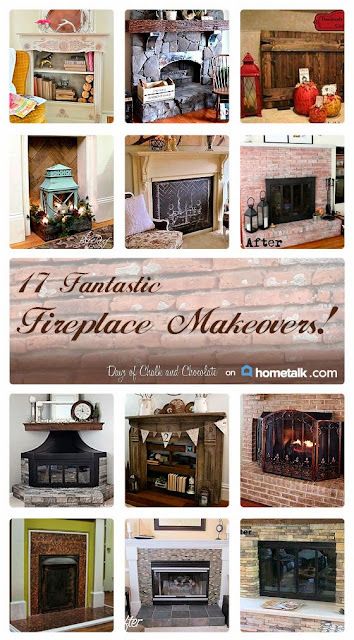 17 Fantastic Fireplace Makeovers on my Hometalk Clipboard! One of my favorite DIY/design/home website is Hometalk. It's a great community filled with bloggers, contractors, gardeners and landscapers, designers, or just anyone who is interested in home and garden. You can share projects, ask questions, answer questions, and clip your favorite projects onto boards so you can find them again when you need them! I am addicted to this clip feature now and I set up a couple of boards for projects I like, gardening tips, etc. I thought I would share my collection of fireplace makeovers! You all know my fireplace was a struggle for me but I won the fight! 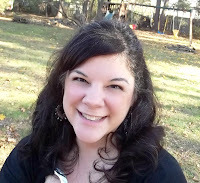 See how other bloggers won their fights! You'll see updated surrounds, painted or veneered facades, new mantels, or decorative ways to use a faux or non-working fireplace. I hope you enjoy browsing and maybe you'll be inspired too! If you haven't visited Hometalk I hope you will! It's such a valuable resource when you are working on making a beautiful home and garden! If I can create beauty, you can too! Creativity is within your reach, trust me. I believe that you don't need any special talents to be creative and you only need to have a willingness to try. So in addition to being a mom, teacher, wife, and sister, I am also a creative tryer! I party at Link Party Palooza at The 36th Avenue!